HM Environmental’s substantial experience makes us the number one choice for environmental and remediation contracting. The following projects are just a sampling of our extensive services. In 2007, HM Environmental Services was contracted by a global manufacturer to complete an entire SVE (Soil Vapor Extraction) treatment system. Tasks included installing 25 wells within an active manufacturing plant. Providing and connecting all underground and above ground piping for the system within the plant. Most of the above grade piping was run and attached to the ceiling support structure. HM Environmental was contracted by an engineering firm to excavate an old lagoon, which was used in the past for coolant discharge and settling. HM Environmental Services, Inc. was awarded a project consisting of complete demolition of a 80 year old brick and block industrial building no longer being used by the client. This project consisted of complete demolition and removal of debris and final clean up. HM Environmental Services, Inc. was contracted by a laboratory for removal of spent samples. The samples, diverse in character, were packaged in drums by the laboratory. HM was responsible for evaluating disposal options and gaining disposal approval. HM Environmental Services, Inc. was contracted to deep clean and remove solids from various press pits located in Sterling Heights, MI. This project included the use of confined space equipment, heavy equipment to remove layers of compressed metal chips and oily waste. Seven press pits were cleaned in four days to the customers satisfaction. HM Environmental Services, Inc. was contracted to perform decontamination activities at a former chemical company for plant closure. The building, over 4,500 square feet, was scraped and power washed to remove resin from the floor that had built up over the years. In addition, several areas were oil soaked and required washing. HM Environmental Services, Inc. was solely requested as an UST contractor by a firm that represented a major steel manufacturer. The steel manufacturer was pursuing litigation for a leaking UST installed in the early nineteen nineties. HM Environmental Services, Inc. was contracted by a disposal company to assist their personnel in retrieving drums from inside a residential home and out buildings around the house. The House had been condemned by the DEQ when they discovered the owner was making chemicals in his house and adjacent buildings without a permit or license. HM Environmental Services, Inc. was contracted by a consulting firm to decontaminate a site previously used by owners to burn transformers and lead coated wire. The site was under an Administrative Order by Consent from the USEPA. It was the responsibility of HM to improve approximately 1500 feet of road subsequent to decontaminating the site. 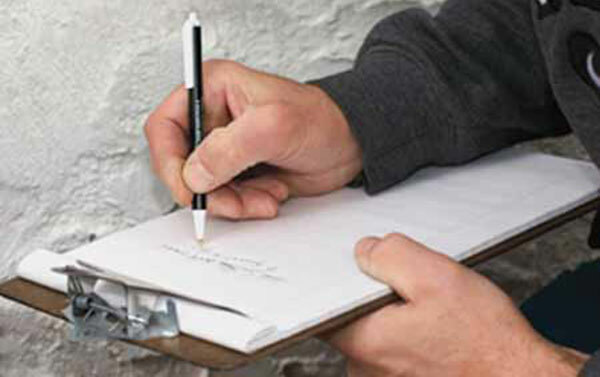 Click here to find out how you can receive a free environmental survey from HM Environmental! HM Environmental Services is an Equal Opportunity Employer, we are looking for new, exciting, strong team members. HM Environmental Services transports hazardous and non hazardous waste(s) throughout the Midwest utilizing Roll Off and Bulk Tankers. If interested please send your information to smatthes@hmenv.com. © 2018 HM Environmental Services, Inc. except where noted. All rights reserved.